1,000 lucky people, out of the roughly 160,000 people who applied, travelled through the tunnel on the first train this morning. Two classes of school children were on board. The plans were conceived 68 years ago with construction starting 51 years later (17 years ago). 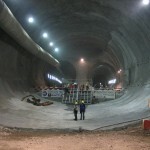 Boring of the tunnel finished on 15 October 2010 and created over 28 million tonnes of rubble (the weight of over 60,000 fully loaded jumbo jets) using a machine the length of four football fields. At one point the tunnel is 2.3 km underground. 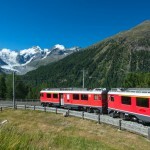 When completed it will take 325 trains a day, shaving 45 minutes off the current travel time to and from Zurich and Lugano as well as Milan and other onward destinations. 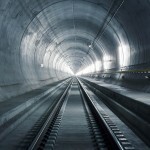 The tunnel’s construction cost CHF 12.2 billion, close to 2% of Switzerland’s 2014 GDP. Funding comes from VAT, fuel tax and heavy vehicle charges. The Swiss Rail website, Gottardo 2016, dedicated to the countdown opens with the strap line: “Swiss people like to arrive on time. That’s why they love shortcuts.” A fitting slogan for a country that produces so many of the world’s watches and has trains that are nearly always on time. The RTS video below, posted on youtube, shows 360 degree views of the tunnel. Wedneday’s celebration will be followed by a festival for those involved in the project on 2 June 2016. The passage of the first freight train will be celebrated on 3 June 2016. Then on 4 and 5 June 2016, there is a public celebration open to everyone at both ends of the tunnel. During the weekend of 4 and 5 June 2016, 50,000 to 100,000 visitors are expected to attend. The tunnel will go into scheduled operation on 11 December 2016. Hat’s off to the creators of this Wonder. Particularly Adolf Ogi. 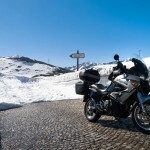 It demonstrates once again that the Swiss are the Masters of Engineering !